* This story was updated Friday to include updated arrest numbers from ICE. Immigration and Customs Enforcement arrested 159 workers at a trailer manufacturing plant in the north Texas town of Sumner on Tuesday. An ICE spokesperson believes it to be one of its largest workplace raids in a decade. Over 300 federal agents descended on Load Trail LLC, said Carl Rusnok, ICE’s Dallas-based director of communications. The ICE investigative arm suspects the business repeatedly and knowingly employed undocumented immigrant laborers. Load Trail started in 1996 as a family-owned business with 31 employees. It specializes in “high quality, reliable trailers for the long haul,” according its website, and now employs over 500 people. The company was fined nearly $450,000 in 2014 for hiring more than 179 unauthorized foreign workers, according to a 2015 report to Congress. Load Trail could not be reached for comment. Katrina Berger, the special agent in charge of ICE’s Homeland Security Investigations Dallas office, told The Dallas Morning News that the agency has “taken steps to ensure it’ll be conducted in a humane and safe manner.” Federal agents, armed with a criminal search warrant, will be able to question employees and seize documents. According to a Tuesday press release, ICE plans to interview all the detained workers “to record any medical, sole-caregiver or other humanitarian situations.” Those determined to be in the United States illegally and ineligible for humanitarian release will be deported, the agency said. By Friday, ICE reported that just five of those arrested were served notices and released on humanitarian grounds –– the rest were detained, where they’ll await processing and, likely, deportation. Of those arrested, 145 were from Mexico, six from Honduras, two from Guatemala and one from El Salvador. Twelve were women. ICE agents lined workers up and separated them by immigration status, according to a video posted by eParisExtra. U.S. citizens were given a green wristband and allowed to leave, while undocumented workers were handcuffed, one worker told the local news source. 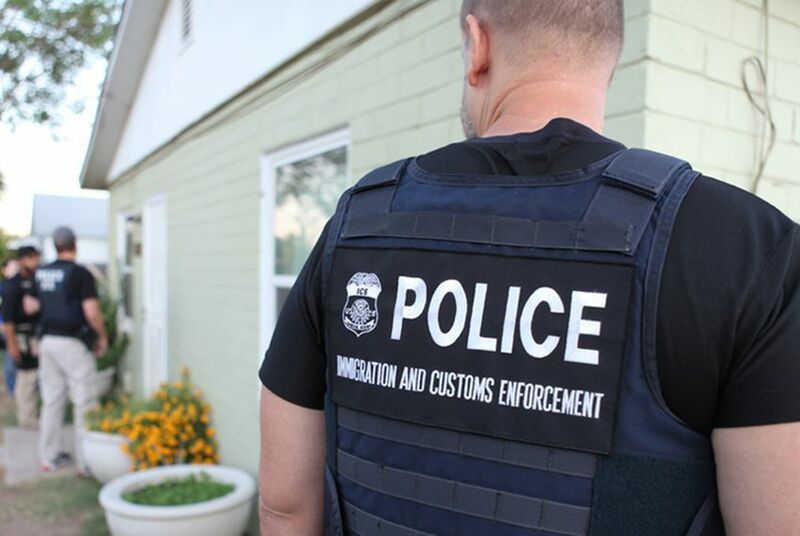 Under President Donald Trump this year, ICE has stepped up its immigration enforcement efforts geared toward businesses. In the first seven months of the year, the agency served notice to more than 5,200 businesses that it was auditing their hiring records.